On behalf of the International Society for Academic Research on Shamanism (ISARS), the organizer Professor Dr. Vo Quang Trong, Director of the Vietnam Museum of Ethnology invites you to attend the international conference of ISARS which will be held in the Vietnam Academy of Social Sciences (Hanoi, Vietnam) from the 1st through the 4th December, 2017. The 13th conference of ISARS explores the interactions between ethnicity, materiality and spirituality. We welcome contributions from various disciplines and encourage submissions that discuss issues of identity, practices of spirituality and material culture. Understanding how ethnic identity and spiritual performativity play out in social and ritual spaces allow us to highlight the multitude of practices and the social importance of aspects of material culture. Material culture tells us much about the construction of memory, history and change. 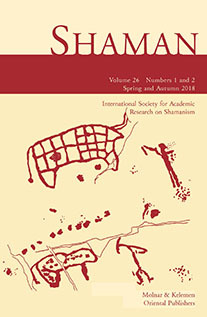 We encourage submissions that discuss the connection between artifacts and associations to ethnic identity, the relation between spirituality and materiality (in a broad sense of the term) in ritual context, as well as theoretical contributions that explore the construction of museums in relation to spiritual practices.